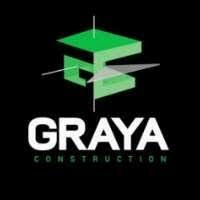 Hi everyone I'm Rob Gray from Graya Construction. We are a high-end builder / developer company operating out of the inner city suburbs of Brisbane. About 5 years ago, I finished my carpentry apprenticeship and that's when Graya Construction was born. 2 years later my brother Andrew and I started Graya Developments and we started with zero employees and we now have 16 on site, and 3 in the office. In 2017 we built 7 houses, in 2018, I would like to build 9 to 10. One of my biggest goals in 2018 is to add to our office staff. Enquiries and a building works are going through the roof but there's some key procedures that I put in place, that I'd like to perfect in 2018. The biggest advice I’d give to a young guy thinking about having a crack, is to do just that, have a crack. Back yourself and also set your yearly goals and make sure you learn from your mistakes.